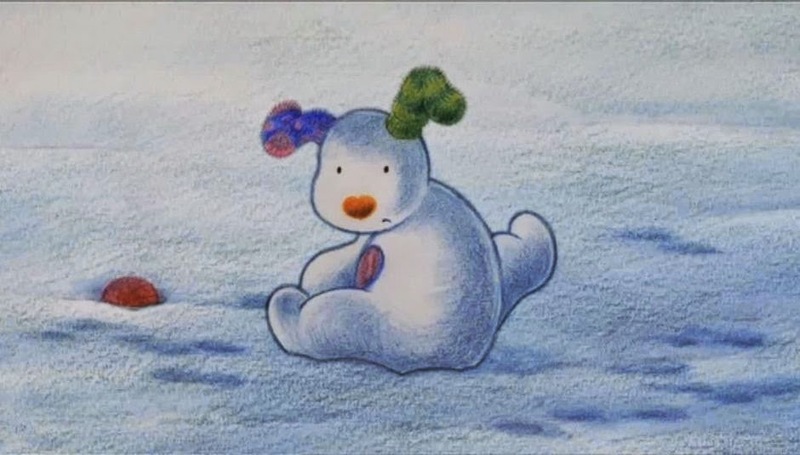 So once upon a time there was a gorgeous piece of art, The Snowman. And some people saw The Snowman, and thought, hey, we should do a sequel! We’ll get the creator on board, it’ll be great. Two years later, The Snowman and the Snowdog was born. And.. it’s not terrible. GOD F*CKING D*MN IT. Because if it were terrible, I could just tell you it was terrible and we could all move on. But no. The writers did an excellent job checking off all the boxes and twisting the emotional beats to create a perfect facsimile of The Snowman. It’s like the uncanny valley. It’s almost perfect, but there’s something unsettling. Something wrong. This version stars a new little boy, which I liked. And I liked a lot about the animation. The building of the snowman especially was very well done. This was clearly carefully created. I was emotionally moved. It’s kind of a beautiful tribute to The Snowman. But it isn’t The Snowman. And the fact that I can’t hate it pisses me off. Two instances of CG lights and “magic” effects. Bleck. Extremely unsubtle musical cues trying too obviously to hook your emotions. Too obvious parallelism of repeating EVERY SINGLE story beat from the original. The fact that the crappy pop song for the flying sequence eventually started to grow on me. At the end: Obvious, explicit, real-world magic. The Snowdog becomes real. No. No. You missed the point. You lose. And with just one tiny change (the Snowdog seems to become real, vanishes, and then the boy gets a real dog on Christmas morning) it would have worked. But no. You had to take the cowardly way out. At the beginning: The box under the floorboards. The boy finds a box with all the stuff that the original boy used to build the snowman, and a picture to use as a guide. THIS IS NOT FROSTY THE FREAKING SNOW-JERK. IT IS NOT A MAGIC HAT. What I meant to say is that the only way I can sort of reconcile this entire plot is to borrow from another British fantasy: Narnia. You can’t get to Narnia the same way twice, and similarly, it might work that a different child could build the snowman (or, rather, a snowman that came to life), but never the same child twice. That's not the same story, but it's not too terrible. Whether well-intentioned or only a transparent cash grab (Buy a plush snowdog! Buy sweets with the characters on them! Buy a personalized version of the story starring your child! Get the app!) this whole enterprise rubs me the wrong way. And after all that, I STILL CAN’T HATE IT. It’s got a post-hypnotic suggestion in it. It’s the only explanation.